Our selection process for experienced professionals is unique. We seek out candidates who not only have tested talent and experience in consulting, but who are committed to investing in the development of our people, our clients, and our community. Sendero can provide you with both challenging opportunities and the work-life balance needed to make consulting a sustainable career choice. You will work across our service offerings to grow the breadth and the depth of your skills, owning your own success while sharing in our growth. At Sendero, we aim to hire the best people from top universities and consulting firms to help us deliver the best results to our clients and community. Each of our team members has a unique story, their own journey to Sendero. 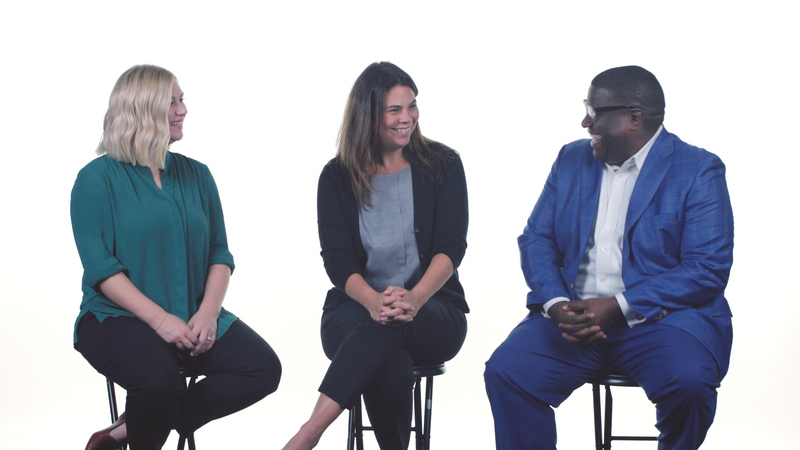 Three of Sendero’s management team members—Caddy Jurica (Manager), Cristina Beauchamp (Manager), and Joe Pruitt (Senior Manager)—share how they found Sendero, what stood out during the recruiting process, and how Sendero has helped shaped them into the leaders they continue to be. Their experiences provide a glimpse into the diverse perspectives that make-up our company and the paths that got them here. Sendero can provide you with both challenging opportunities and the work-life balance needed to make consulting a sustainable career choice. At Sendero our mission is simple: be the management consulting partner most respected for our people, our culture, and the results we deliver to our clients.